LOCATED: 7 miles north of New London on US Hwy 45 to Co Rd N, then west on “N” 2-1/2 miles to Fitzgerald Road, then north 1/2 mile to the farm. Watch for auction signs. 65 ACRE FARM IN THE TOWN OF LEBANON, WAUPACA COUNTY, BEING OFFERED IN PARCELS: PARCEL 1: The buildings and 2 acres of land at N7176 Fitzgerald Road, including a 3-bedroom ranch-style home w/handicap accessible full bath, open concept kitchen/living room/dining room, main floor laundry. Home has a newer metal roof, newer windows, full basement, conventional septic & drilled well. Outbuildings consist of a 32’x36’ detached garage; 50’x70’ steel machine shed; and a 40’x120’ steel barn w/40 tie-stalls, 5 box stalls; milkhouse w/2” pipeline w/4 Delaval milkers, Delaval VP-77 milker pump, 400 gallon bulk tank, 80 gallon electric water heater; and 2 - 16’x52’ silos w/unloaders. Part of TID# 11 03 23 5. PARCEL 2: A 2 acre building lot, being currently all under cultivation w/frontage on Fitzgerald Rd. TID# 11 03 23 6. PARCEL 3: 28.5 acres of land, being almost all under cultivation in the Southwest 1/4 of the Northwest 1/4 of Section 3 T23N-R14E, being part of TID# 11 03 23 5. PARCEL 4: 32.58 acres of land being approx. 30.75 acres under cultivation, balance wooded, in the Southeast 1/4 of the Northwest 1/4 of Section 3 T23N-R14E. TID# 11 03 24 2. PARCEL 5: The property as a whole or any combination of parcels to suit the buyers. AUCTION TERMS: This property will be sold absolute with no reserve on the day of the auction. Buyer will be expected to sign an offer to purchase and give a 10% down payment on the day of the auction with balance due at closing in 60 days. All bids will be made as cash offers, not subject to financing. Property will be delivered free & clear of all encumbrances & will be closed by the title company. Taxes will be prorated to the day of closing. OPEN HOUSE: There will be an OPEN HOUSE on SATURDAY, NOVEMBER 24th from 2:30 to 4:30 PM with a member of Nolan Sales present to answer questions and show the property. FARM EQUIPMENT: Brillion 24’ cart drag; Wilrich 24’ field cultivator w/levelers; Brillion 9-tooth chisel plow w/rolling colters; Tractor weights; Bale spear, 3pt; 6’ Back blade, 3pt; 8” 30’ grain auger; Post hole auger, 3pt. SPECIAL ITEMS: 1994 GMC pickup truck, 4x4, extended cab, 139,000 miles showing; 1984 Chevrolet 1/2-ton pickup truck, 4x4, regular cab, 118,000 miles showing; 16’ aluminum boat; Canoe, fiberglass; 2-place snowmobile trailer; Wood burning cabin stove; Steel T-posts; Steel tables; Gas grill; Electric chainsaw; Chain saws; Craftsman snowblower; Tow chains; 300 gallon gas tank w/electric pump; 500 gallon fuel tank; Cement mixer, electric; Car polisher; 1/2” drill motor; Misc. electric motors; Werner 8’ step ladder. TOOLS & SHOP ITEMS: Delta miter saw; Delta bandsaw; Delta scroll saw; DeWalt radial arm saw; Gas torch set; Magna Force 5hp compressor; Milwaukee 1” electric drill; Makita 1/2” drill; Pneumatic 1/2” impact driver; Grease guns; Socket sets; Wrench sets; Drill bits; Wooden work bench; Misc. tool boxes; Creeper; Misc. plastic parts cabinets; Bench vise; Bench grinder; 1-1/2 ton chain hoist; (2) Drill presses. FURNITURE & HOUSEHOLD ITEMS: Wooden kitchen table w/6 chairs; Glider rocker; Bedroom set; Chest of drawers; Fan; Wooden book shelf unit; Recliner; Baker’s rack; China hutch; Gun cabinet; Kitchen chairs; Wooden cabinets; Chest-type freezer; Electric meat slicer; Large assortment of Christmas decorations; Misc. electrical cords. Sale clerked by Nolan Auction, Inc.  Regular auction terms - cash or personal check. Everything sold as is, where is. No Warranties.